The Victorian-style glass houses of Allan Gardens Conservatory can provide an impressively tropical, arid or temperate respite, whatever your preference. 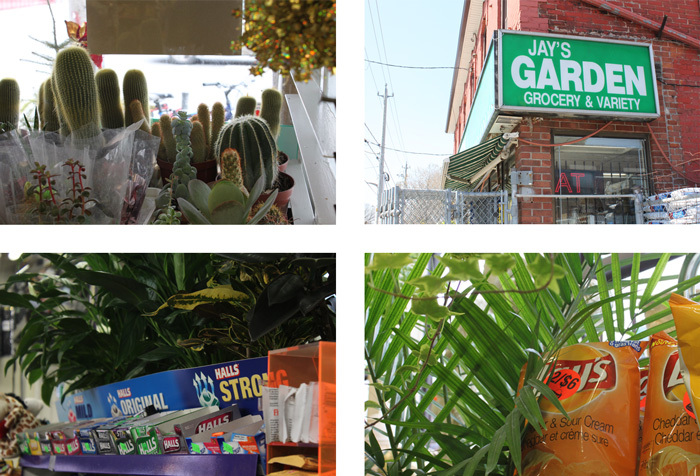 Situated in Toronto's downtown core, the expanse of gardens offers visitors a space to appreciate the diversity of plants on display year-round. Lesser known perhaps, are the more unassuming indoor growing facilities with an equally impressive variety of botanicals. 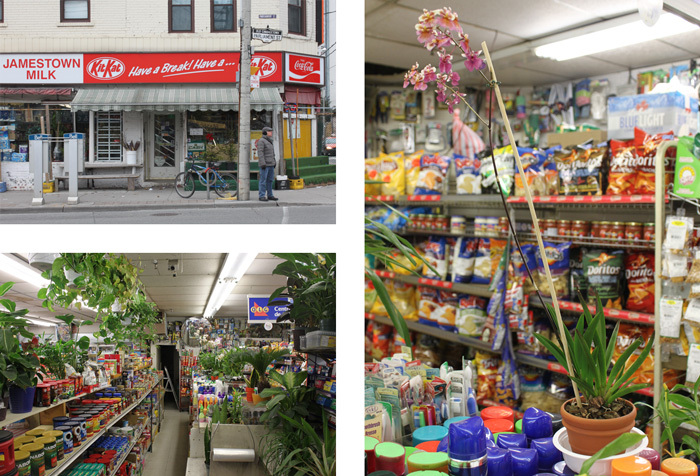 Below we present the city's corner store offerings. 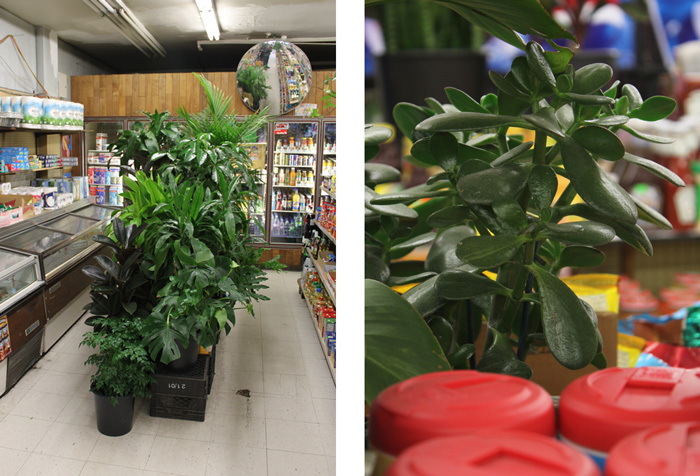 An early morning run to the convenience store can satisfy instantly any craving for blooms or green leafy arrangements. 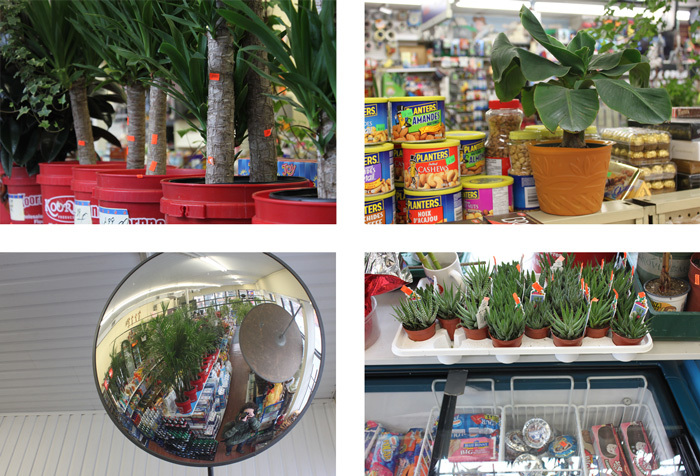 The species inventory is high: Chrysalidocarpus, Crassula, Chlorophytum, Dieffenbachia, Dracaena, Ficus, Philodendron, Saintpaulia, Sanseveria, Strelitzia, Schefflera, and Spathiphyllum. 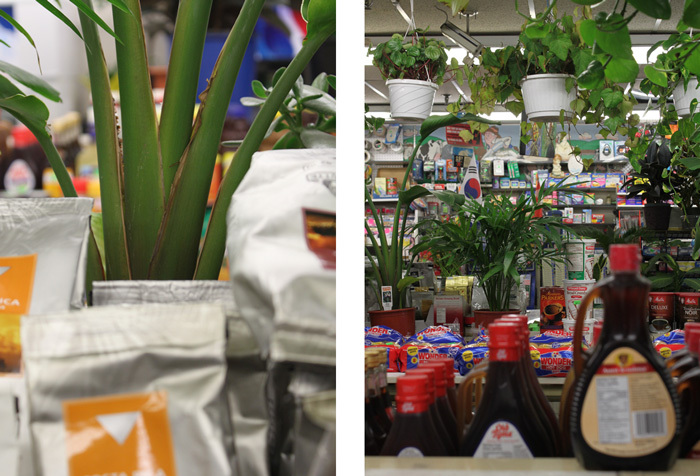 Orchids in the health care aisle, just atop the hand cream and areca palms just above the condiments.